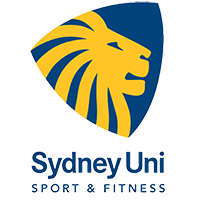 This golden era for sport at Sydney University has been anchored by the Sydney Uni Sport & Fitness (SUSF) sporting scholarship program, which commenced in 1990. The very first Sydney Uni sporting scholar was none other than SUBC’s David Hynes, who graduated with an Economics/Law degree before gaining selection as an Australian Baseball Olympian at the 1996 Atlanta Games. SUSF’s Elite Athlete Program has now evolved to the point where … in 2017 … approximately 400 elite student-athletes will receive sporting scholarships; enabling them to pursue their ultimate sporting objectives without compromising their academic goals. The Named Baseball Scholarship Campaign aims to guarantee scholarship funding for SUBC into the future. Named sporting scholarships are awarded as soon as sufficient seed capital has been pledged or donated, but they become perpetually named sporting scholarships once $30,000 has been raised. Two new named scholarships have been created to help secure the future of SUBC, and also honour great members from our club's history. David was an explosive power hitter and the recipient of the first ever sports scholarship awarded by Sydney University. 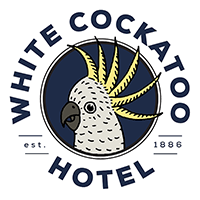 He represented Australia at the 1996 Olympics and currently serves as Chairman of Baseball Australia. Ron was a 1st Grade Premiership, Inter-varsity and NSW catcher in the 1970/80's, long-serving SUBC President, and ABF Chairman. Ron currently serves on the Board of the WBSC. Jennie was a tireless contributor, scorer and organiser of everything on and off the field. The Jennie Finlay Award is named in her honour, annually given to the best young student baseballer. All contributions to sporting scholarships are fully tax deductible and they can also be made in annual instalment payments over two, three or even five years. The most satisfying part is that your donated capital is held in trust for perpetuity, with the generated interest funding the annual scholarship.